Real Madrid manager Santiago Solari hailed Gareth Bale’s decisive impact after scoring his 100th goal for the club in their 3-1 win at Atletico Madrid. 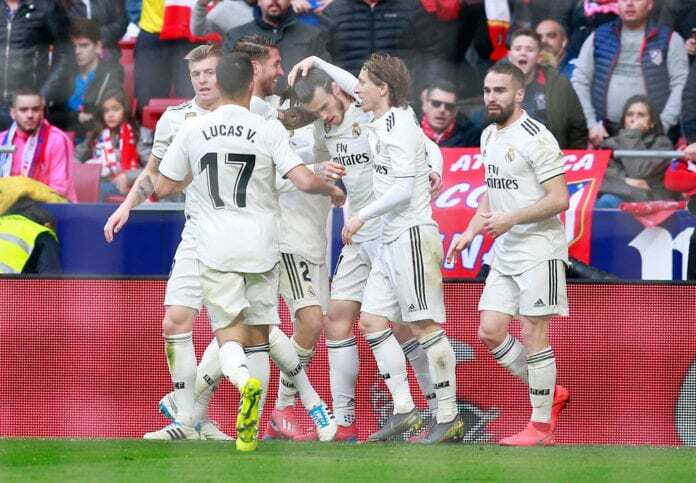 The in-form Real made it six wins out of seven games on Saturday evening at the Wanda Metropolitano by claiming a 3-1 derby win over Atletico. Despite Antoine Griezmann cancelling out Casemiro’s early opener in the 25th-minute, Real never looked like they were out of control with captain Sergio Ramos restoring their lead before the break through a penalty. Bale then came off the bench and scored Real’s third of the game and his 100th goal for the club after converting Luka Modric’s pass. The Welsh winger has now taken his tally for this season up to 12 goals and five assists in 28 appearances across all competitions. “He [Bale] came back into the dressing room smiling, he was happy with his goal. 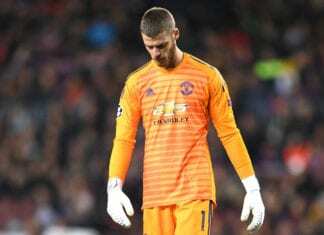 He rounded off a game that was intense and every day he seems to be better,” said Solari on the club website. 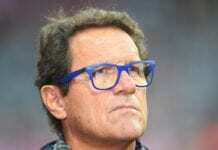 Atletico proved to be incapable of producing much of a challenge for Real on the day even before Thomas Partey was sent-off with a second yellow in the final 10 minutes. Diego Simeone’s side thought they had cancelled out Ramos’ goal when Alvaro Morata found the net against his old club before VAR ruled it out for offside. But Solari was pleased with Los Blancos’ performance as they leapfrogged their city rivals into second-place in La Liga. “It was a team win and there’s no other way to get something here against a solid and competitive side, particularly when they’re playing at home,” said Solari. “We were strong in every facet of the game. It’s probably our best performance since December”. “It was a very complete display and that’s the only way we were going to take anything here against a team who are better every year. “They’re a great side with a fantastic coach, we head home very happy. We were good at the back, up top, we pressed brilliantly and were solid on set-pieces, both offensively and defensively”. Next up for Solari’s side is a trip to Amsterdam on Wednesday for the first leg of their last-16 Champions League tie against Ajax.